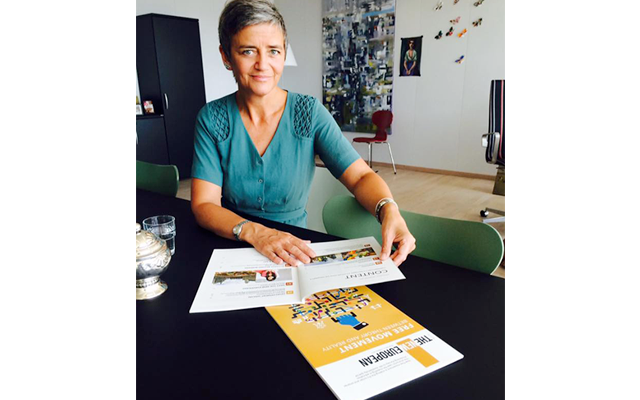 On Monday, 31st of August, UNITEE had the opportunity to meet Margrethe Vestager, European Commissioner for Competition, in her office in the Berlaymont Building, Brussels. During the conversation, the Commissioner went through her most famous cases, against Google, Gazprom and General Electric among the others, highlighting how enforcing competition is a fundamental tool in the functioning of the EU Single Market: it not only protects the customers, it also favours innovation and growth. “We have three objectives in our work”, the Commissioner pointed out. “To have affordable prices, good quality and innovation. And to have that, you need a number of businesses actively to compete on the market place”. The integral interview with the Commissioner will be published on the Autumn issue of The New European magazine, expected for the beginning of October. You can read the other issues here.